Government: Innkeeper is the elected voicespeaker. Qualities: Isolated, strategic location, superstitious. This very small hamlet surrounds a bridge on the McToren River. 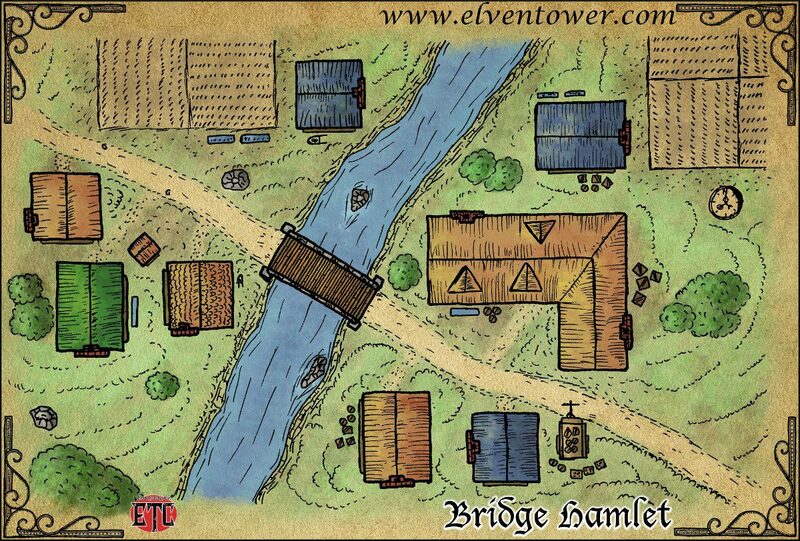 Since the bridge has good transit, an Inn was built here and the population has been growing slowly. The settlement doesn’t even have a name, they usually only go by “McToren Bridge”. Guzmo.- Innkeeper and elected voicespeaker. Darren and Yorchest.- Guards of the kingdom. They were sent here to guard the bridge and represent the crown’s protection, they live in the Inn. One of them is in love with Diana, the innkeeper’s daughter . Demain (aka Arrow).- He is a hunter, and a very good at that. No one in the surrounding areas is a better shot. Nana Mary.- This woman is very old, no ones knows exactly but she might be almost 90. She’s a good story teller and a good source of rumors, legends or old forgotten information. She can’t walk anymore, she’s bedridden, however, her memory is as good as always. Gobbet (gnome).- He doesn’t live here and appears to be a merchant. His horses and cart are next to the Inn. He’s been staying here for more than three weeks. He pretends to be expecting another merchant caravan, but he’s a spy in disguise.